12 x 9", oil on linen panel, 2017. 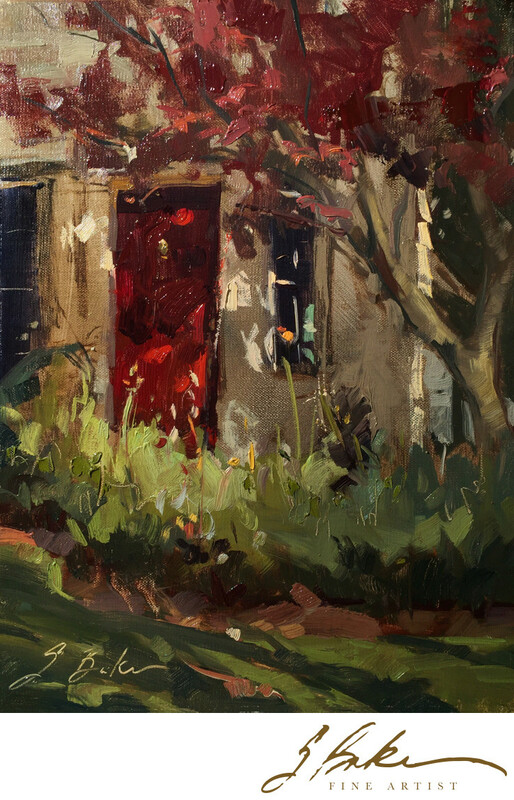 Red Door, Rote Tur in German, is the title for this painting inspired by the delicious light twinkling through the maple, onto the east-facing facade of this Atlanta home in the garden district, Druid Hills community. This was painted during the 2017 Olmsted Plein Air Invitational.